Gina's extensive expertise in fitness & lifestyle coaching started over 20 years ago when she became determined to discover how to really inspire change for great health. Her on-going quest has lead her to become a certified Personal Trainer, Trained Pilates Teacher, Certified Yoga teacher, Certified Life Coach, a Master Practitioner of NLP, MER and Hypnotherapy, a BioSignature Practitioner, and holds certifications in healing modalities like Thai massage, Reiki and Reflexology. Through her years of training and speaking to Olympic athletes, Fortune 500 companies, and small business owners, she’s created a system for results driven programs, life changing events and inspiring workshops. Gina has a reputation of being a catalyst that inspires people to undergo significant shifts in there life and finally achieve their health goals. Her recommendations are backed by the latest research and proven strategies for change. She is constantly on the forefront of industry knowledge and goes to great lengths to study with the best health and fitness professionals in the world such as Tony Robbins, Charles Poliquin, Seane Corn, Dr. Natasha Turner, and Louise Hay to name a few. She speaks regularly on the link between the mental/emotional connection to fitness, no nonsense nutrition, and developing the rituals to create exceptional health. She has soft spot for teaching girls these important lessons through camps and school seminars. Gina holds memberships with ACMS, IFPM, ICF, BioSig, and sits on the advisory board for George Brown College's Fitness & Lifestyle Management program. Gina was also the founder of Serenity Valley Countryside Retreat in Burlington, Ontario, an intergrative wellness centre in country spa-like setting. Serenity Valley was open 12 years, and impact on thousands who visited. Today, Gina is available for Private Sessions, Group Classes & Workshops, Girls Camps, Wellness Retreats and Corporate Events throughout Halton & Hamilton. Meghan began skating as a competitive figure skater since age 7 and committed to her sport for over 12 years, competing at the National Level in both Junior and Senior categories. She made the decision to take her talents to an international stage in 2011, and has now been skating professionally for the Royal Caribbean Cruise Lines as a Principal Soloist for the past 2 years. Her skating contracts have taken her to various ports in the Caribbean, Europe, Africa, India, Asia, and Australia. She will be setting sail again this fall on another skating contract with RC. Meghan began working with Gina Faubert almost 10 years ago, for the purpose of improving her “off-ice training”. During this time together, Meghan developed a passion for Pilates and the various disciplines that go hand and hand with core strength, stretching, and flexibility. She has taken Pilates & Yoga certification courses, and when not skating on a ship all over the world, she finds her way back to teach with the Serenity Valley team in a variety of aspects – teaching classes, private training, and administration. Being healthy is so much more than an interest. It is a state of mind and certain lifestyle, coinciding with challenging yourself, that makes it such an honest and real achievement. A healthy mind, free from stress and angst, and a healthy body inside and out, are two of the best gifts we can give ourselves. Coming from a journalism background, Laura loves to write about, as well as practice, her passion for fitness. 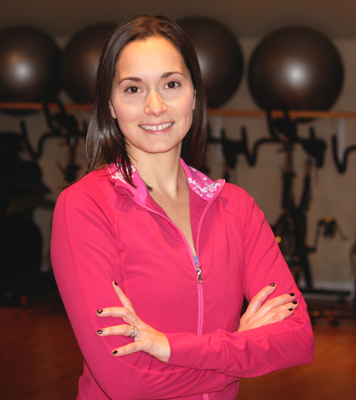 As an International Youth Fitness Coach and Personal Training Specialist, it is Laura's vision to teach people how to move properly, learn to enjoy physical activity and guide them to becoming well-rounded individuals. Athletes and non-athletes alike should be taught how to prevent bad posture and improve coordination and balance so they have healthy bodies leading them through life. Teaching kids and adults alike to make healthy choices physically, mentally and nutritionally is Laura's goal to help shape the future of our community. Tamara's knowledge and experience in physiotherapy, coaching, and personal training gives her a unique perspective and appreciation in her approach to Massage Therapy. A brief interview and focused assessment allows Tamara to provide a personalized treatment. Tamara specializes in optimizing balance and function around joints of the body. Working towards this balance minimizes stress, wear and tear of joints, and decreases pain. We often work and live in positions that create pain and dysfunction. Small postural adjustments and body awareness along with regular therapeutic massage can optimize your function and decrease pain. 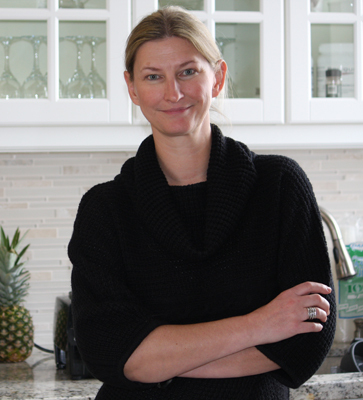 Prior to becoming a holistic nutritionist, Anita obtained an Honours Bachelor of Commerce degree from the University of Toronto and spent many years successfully opening and running restaurants. Through the cooking schools she set up in restaurants, Anita realized the great thirst for knowledge many people have regarding what to eat and how to prepare tasty and healthy foods that the whole family will enjoy. 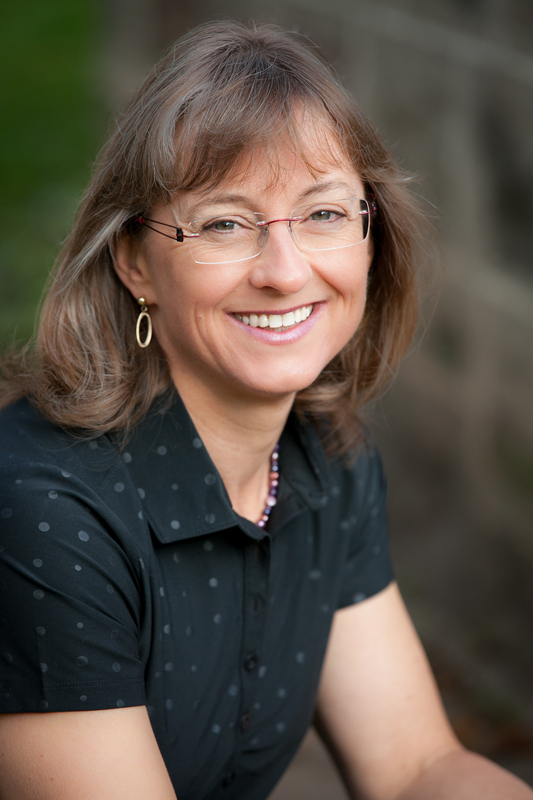 Anita is a graduate of the Toronto Institute of Holistic Nutrition with First Class Honours. She is passionately committed to empowering people with knowledge about what goes on their plates. “I believe nutrition is the single most important factor in achieving and maintaining an optimal state of personal health and wellbeing.” Anita works with clients on an individual basis to increase energy levels, decrease toxins and improve digestion. 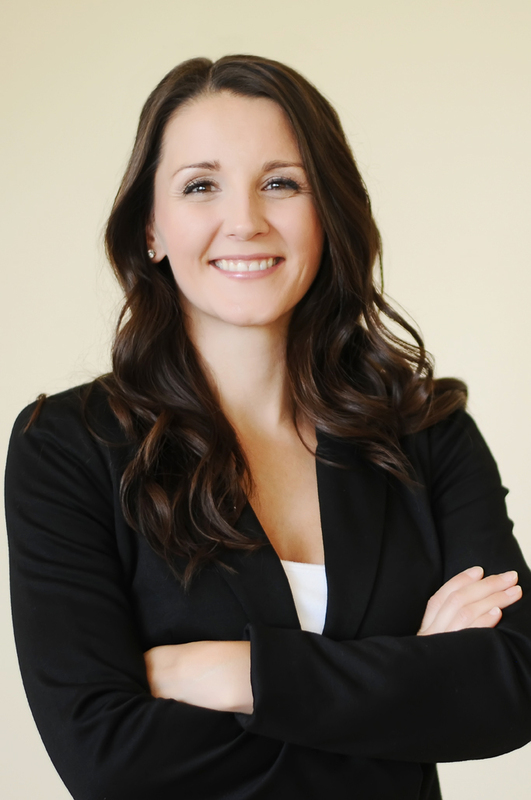 She develops personal programs in support of any health concerns her clients may have. Anita teaches cooking classes, lectures and food demos for both corporate clients and public groups. From a young age Elizabeth has always been into dance and fitness. She started taking Pilates classes at 13, well before it became really popular. Pilates really hit home with her and made her feel so great moving in such an expressive, yet challenging way that she decided to go to University for Dance.